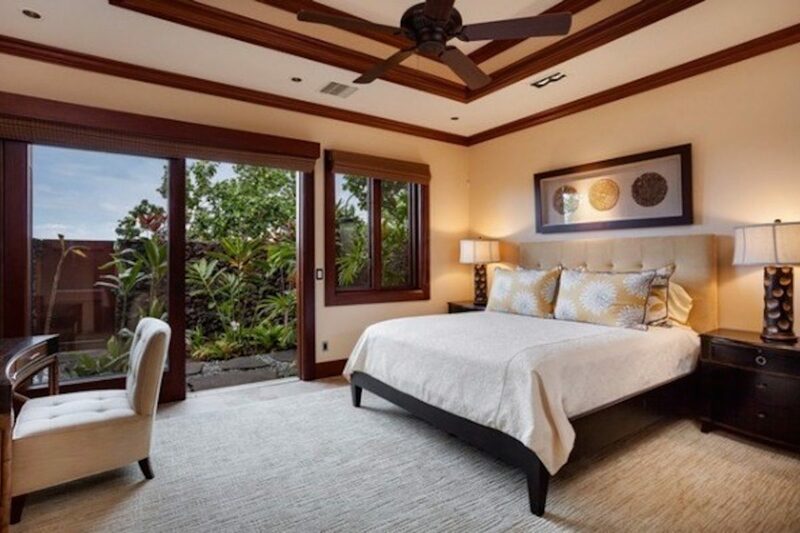 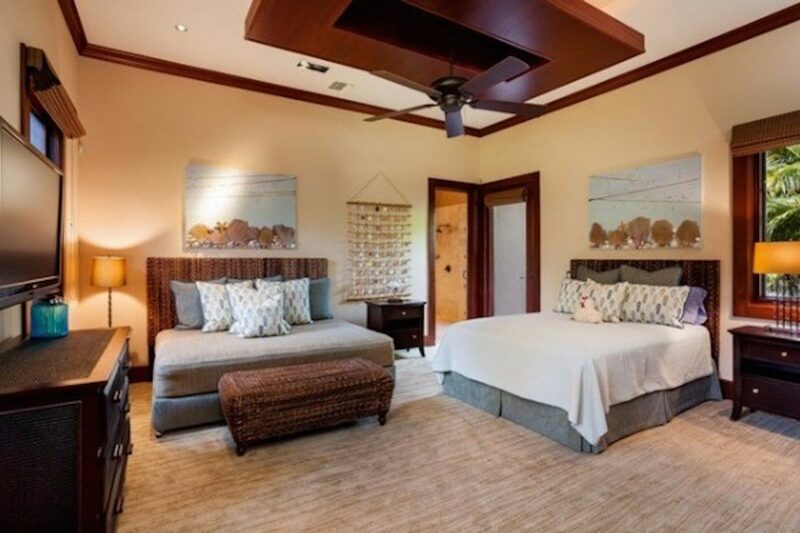 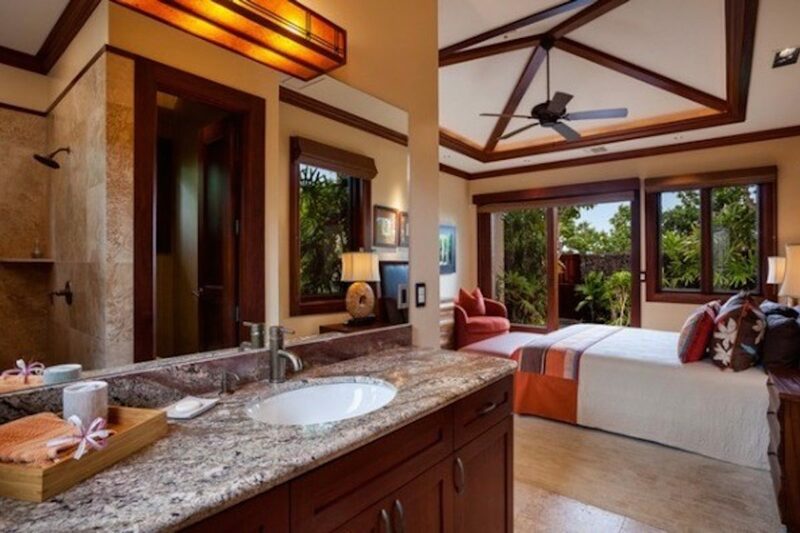 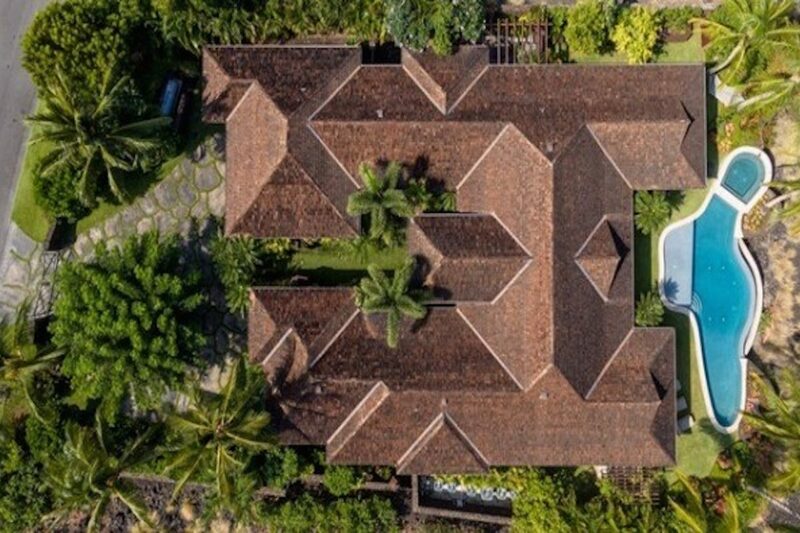 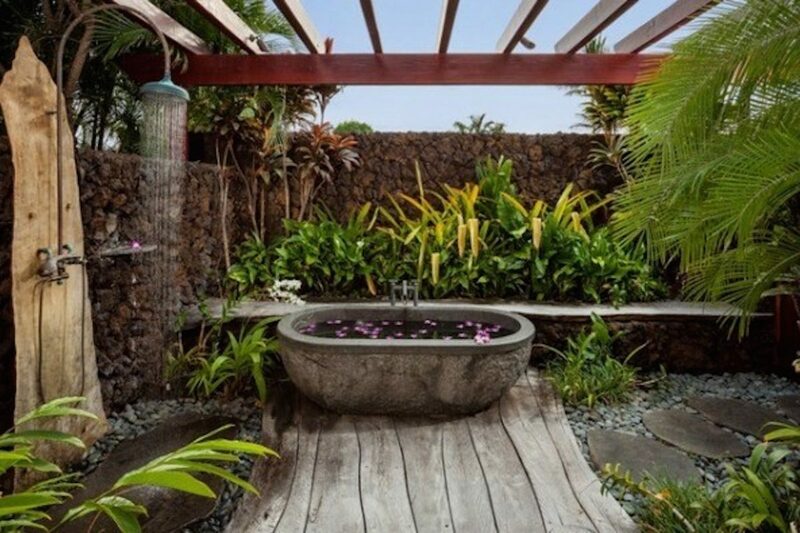 Beautiful Hualalai home with 3 of the 4 bedrooms in the main house and the 4th guest bedroom in a gated courtyard. 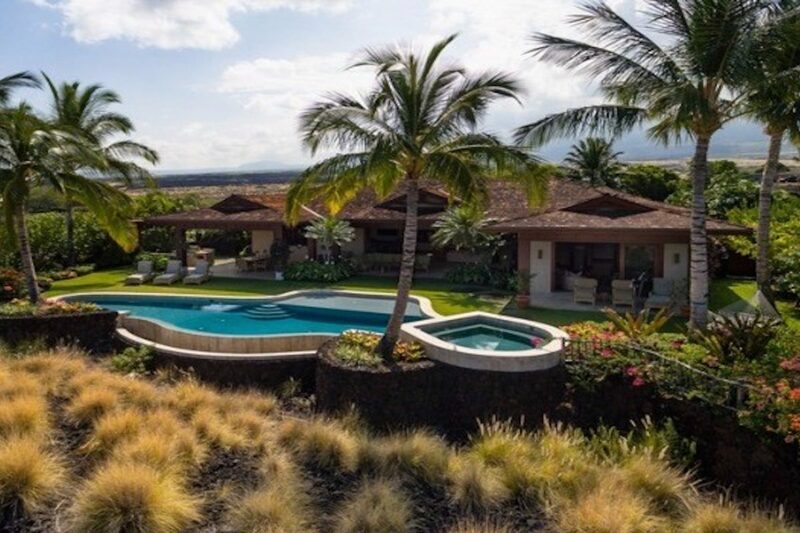 Located on the 13th green of the Ke'olu members only golf course. 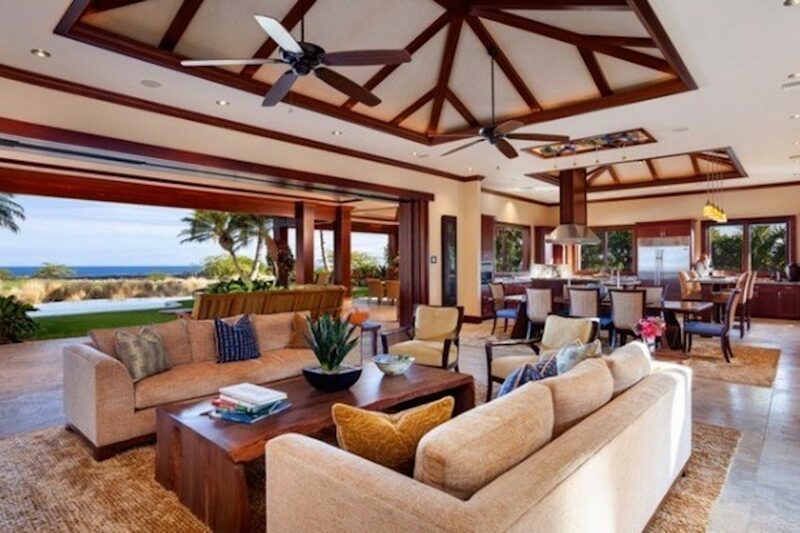 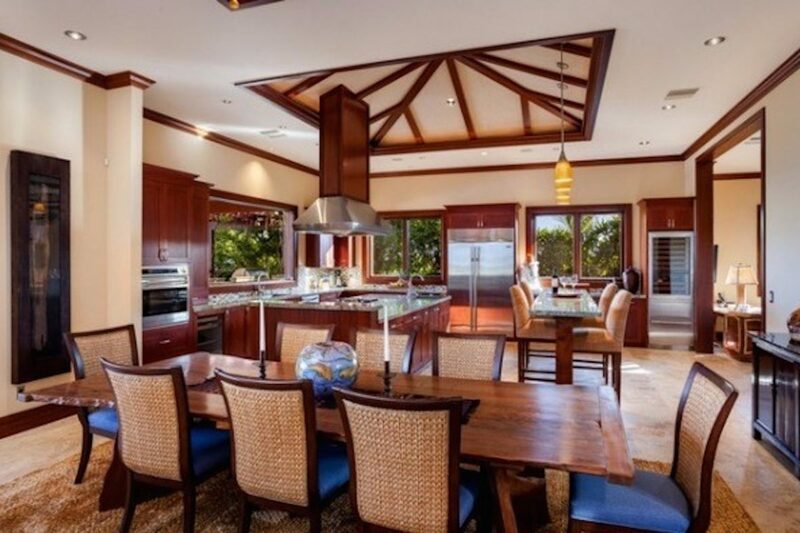 This custom home features tremendous Pacific ocean and Maui views and is offered turnkey furnished. 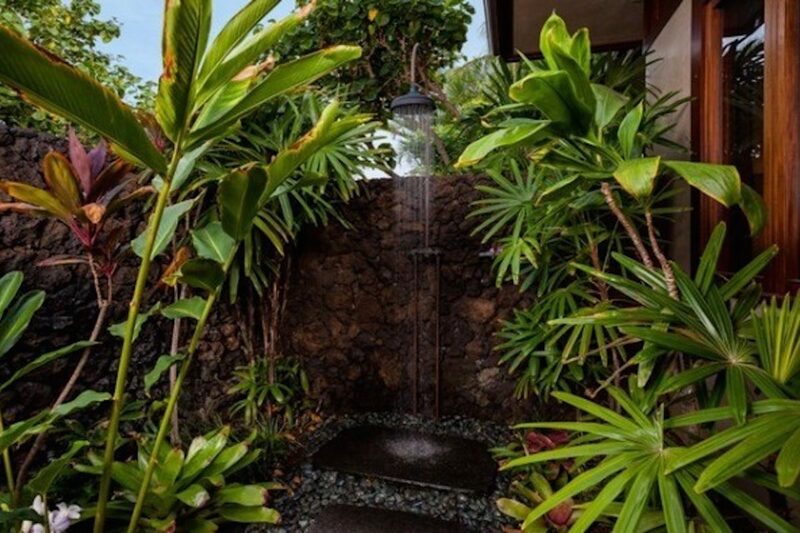 Enter the home through a gated courtyard with water feature into an expansive living room, great room and kitchen with passthrough pocket windows above the kitchen sink to the outdoor dining area. 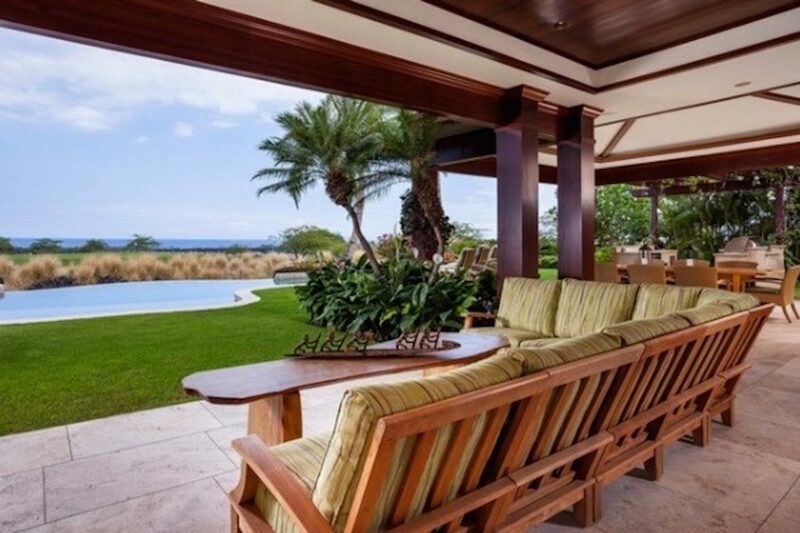 Motorized pocket doors open to a huge outdoor BBQ and dining area along with a very large and comfortable outdoor seating area. 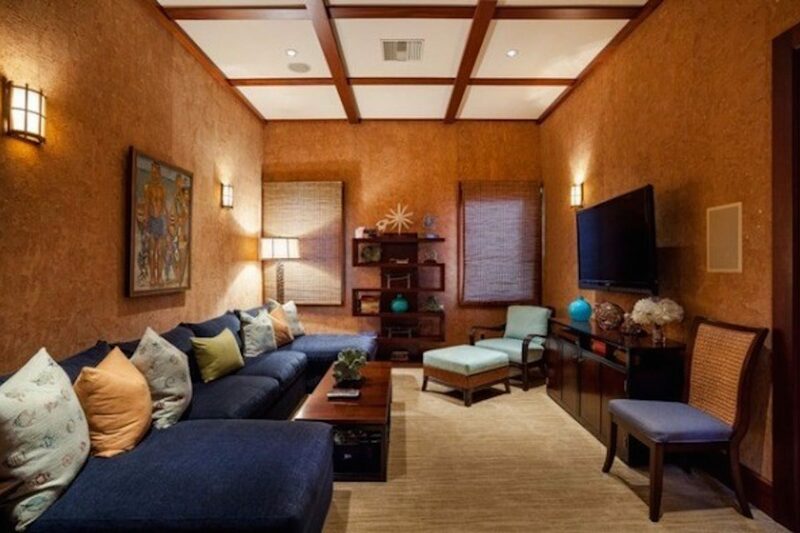 The separate media/flex room and office offer additional space in this private retreat. 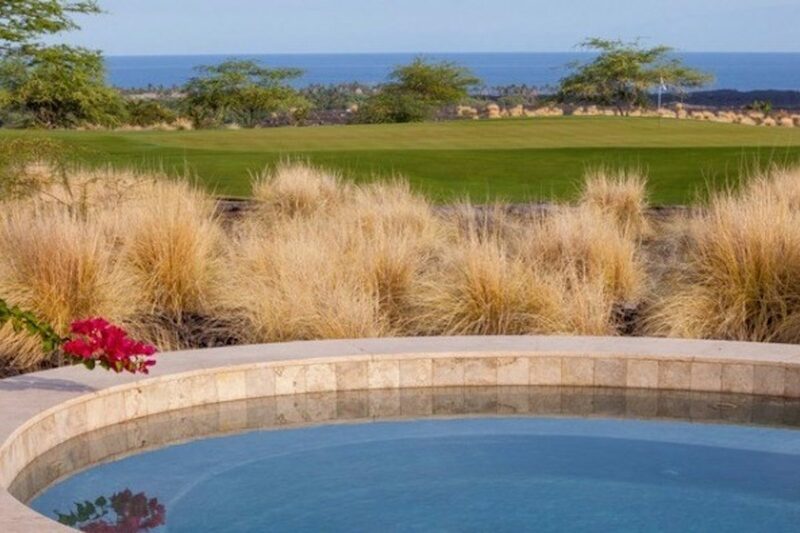 Relax in your private pool and hot tub enjoying the view across the golf course to the ocean. 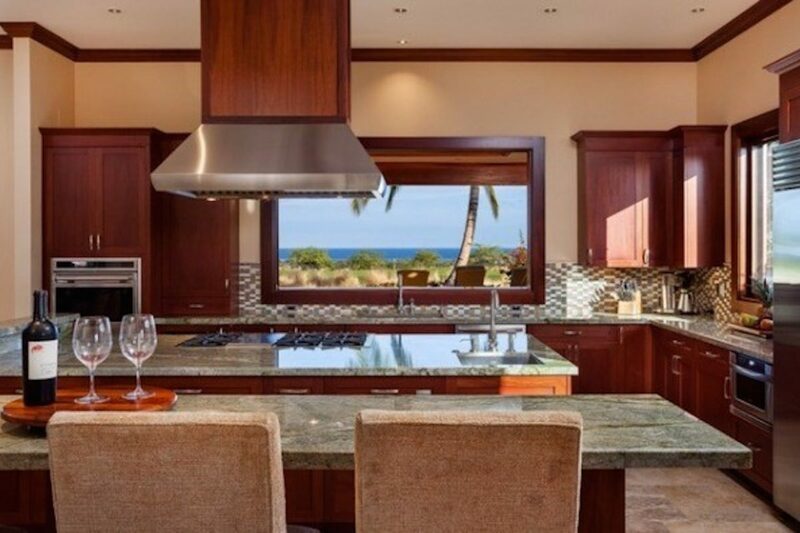 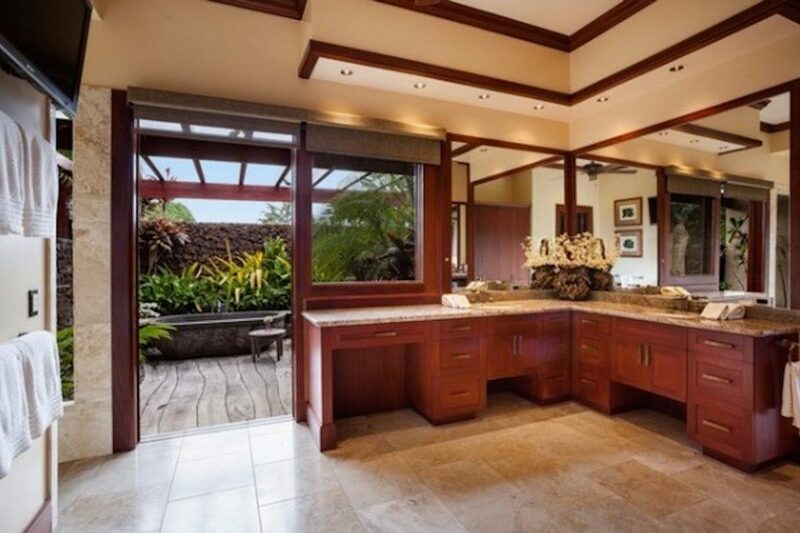 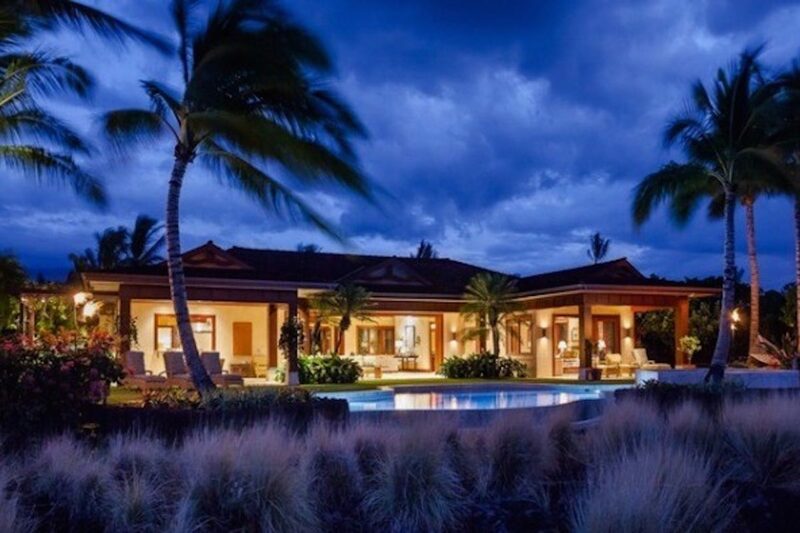 This home offers one of the largest kitchens at Hualalai. 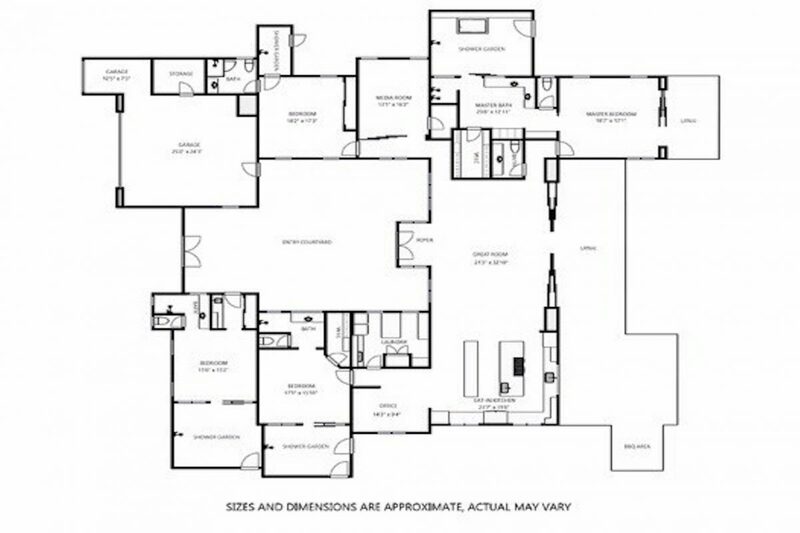 Designed for the gourmet chef, it includes a double door sub-zero refrigerator and freezer, ice maker, large sub-zero wine cooler with drawers, sub-zero under counter wine cooler, Fisher Paykel two drawer and Bosch dishwashers.